There are several waterfalls on the shoulders of Mt. Greylock that are well-known and cherished by day-visitors and campers. Then there are a few others that even I missed on my first half-dozen visits to the state reservation. 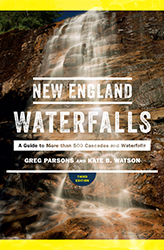 The Falls on Pecks Brook and the Falls on the Bellows Pipe Trail (which I still have not personally visited as of 2017) are the underdogs of waterfalls here, and they are equally worthwhile. 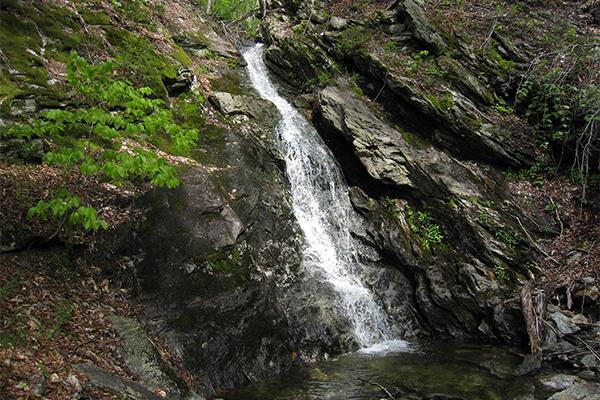 There are three sets of falls that make up the Falls on Pecks Brook, but most visitors will likely only get to enjoy the middle falls and the backpackers shelter that exists here. The upper and lower falls are actually more impressive, but you will have to take some risk to earn your views of each of them. The upper falls are challenging to approach, and the lower falls are downright dangerous to see in their entirety. 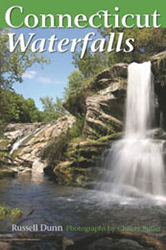 The middle falls, which can be clearly seen and heard from the shelter, is a skinny, 10-foot, two-tiered horsetail. The falls are not spectacular, but where else can you legally sleep in such close proximity to a waterfall? The upper falls consist of a long horsetail approximately 40 feet tall. It must be a spectacular site in high-water. It was indeed photo-worthy even in the moderate water conditions that I encountered during my mid-May visit. There's some fallen tree debris here, but it is not overwhelming. The lower falls is a 22-foot horsetail that winds its way down a steep face into an ankle-deep pool. The falls are semi-open to the sky and can be quite sunny. From the base of the falls, you can see the shelter above, so privacy is surprisingly limited considering how difficult it is to get down there (keep those bathing suits on!). 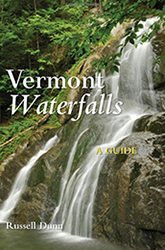 For optimal water flow of all three falls, which typically only occurs when the deep winter snow finally melts in April, you will have to hike into the park when the main park road is gated off. This will significantly increase the mileage and difficulty of the hike, but you will be rewarded with a fantastic waterfall and a likely-to-be-empty shelter to enjoy for yourself or your small group (max size is 8 people). There are also a few well-developed places to set up a small 2 or 3-person tent when the shelter is full (which is probably rare). From the parking area, begin slowly descending on the blue-blazed Gould Trail. The trail meanders on nearly level terrain for the first 0.1 mile and then a steady decline ensues. From here, the hike is consistently downhill, but it is never steep. 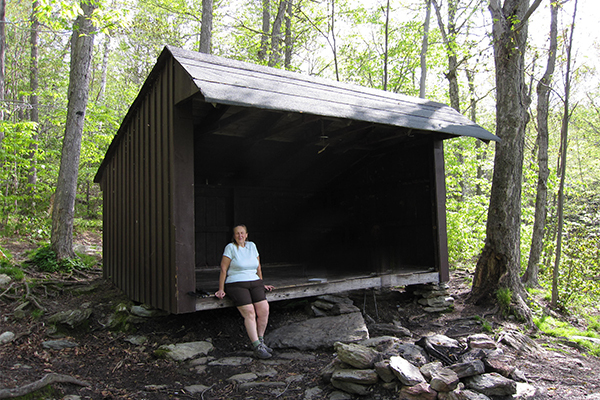 After hiking about 0.9 mile, you will reach a junction marked with a sign pointing right for Pecks Brook Shelter. Take a right and follow this easy spur trail 0.1 mile to the shelter. 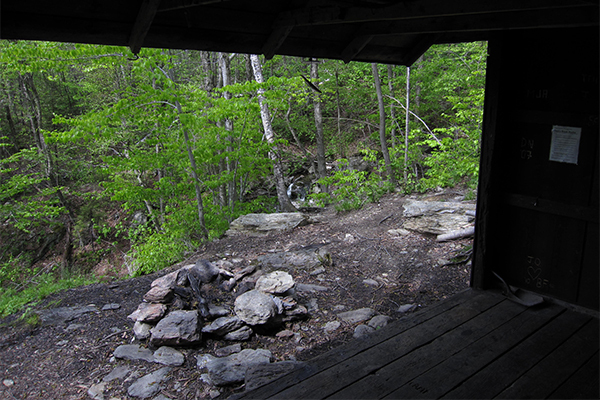 The 10-foot middle falls are directly viewable to the right and front of the shelter. 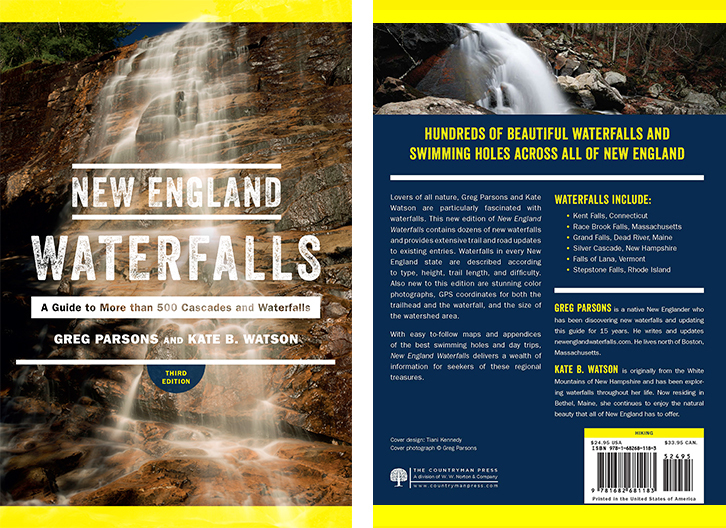 To reach the base of the lower falls, you must have well-developed scrambling skills and a strong sense of adventure. 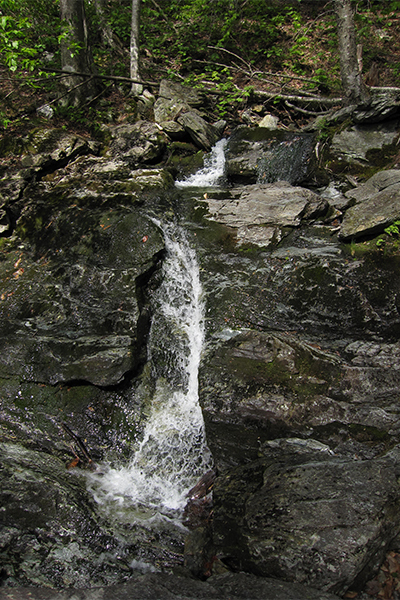 Be aware that descending to the base of these falls will cause a fair amount of eroding to the ravine, too. For these reasons, I would like to discourage you from trying to do so. If you decide to ignore our warnings, the best route down (I believe) is by hiking away from the shelter, heading east of the shelter and downstream of Pecks Brook. Walk towards the side stream that dumps into Becks Brook just below the lower falls. You should be able to see this side stream within 50 feet of the shelter. Once you arrive at the side stream, contemplate the safest and least damaging route down to where the two brooks merge. 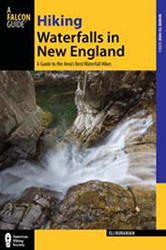 Once you arrive at the point of merging, hike upstream along Peck's Brook about 50 feet to the base of the lower falls. 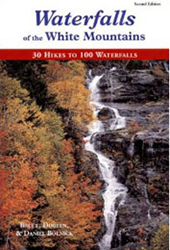 To reach the upper falls, you will have to bushwhack your way upstream from the middle Falls and shelter for 0.1 mile. There is no simple way to accomplish this and the vegetation is moderately thick. I tried both rock-hopping along the brook and charging our way through the woods about 50 feet away and parallel to the stream, and found the latter to be the easiest. Either way, finding the upper falls is certainly challenging. The reward is a falls not often seen. From the junction of MA 2 and MA 8a in North Adams, take MA 2 west for 1.3 miles. Take a left onto Notch Rd. Follow Notch Rd. for 8.2 miles (make sure to take a left after 1.2 miles and bear right at mile 2.3 to stay on this road) and you will reach a stop sign and a junction. This junction is 3.1 miles south of the trailhead for the Money Brook Trail. Continue straight through the intersection into a gravel parking area marked by a sign for Gould Trail. This parking area can fit about 5 or 6 cars comfortably. If you were to take a left at the stop sign, it would take you to the summit of Mt. Greylock. A right turn will eventually take you south to the town of Lanesborough. Be aware that Notch Rd is typically closed by the reservation from late fall until the middle of May. To get to North Adams, take MA 2 east from Williamstown or MA 2 west from Greenfield.